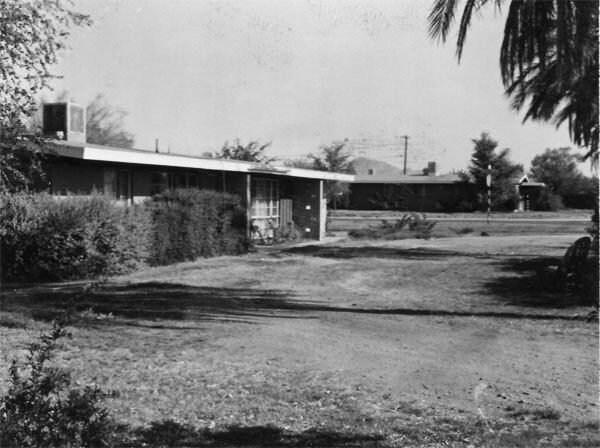 West of 12th Street between Glendale and Northern. A sister neighborhood to Regents Park. Vintage photography reproduced with kind permission of Shelly Grebles. 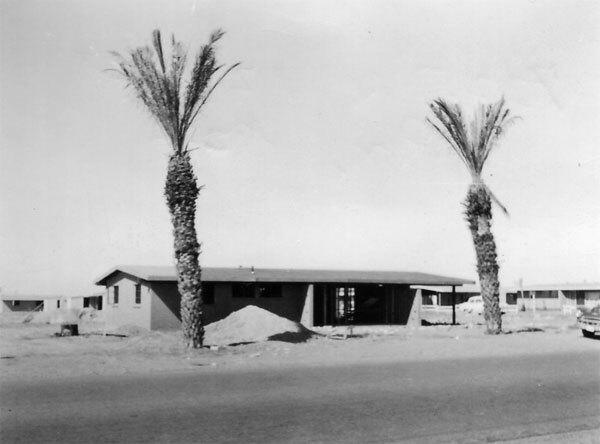 An original build facing 12th Street circa 1954. View photos of Northwood in 2011. 12th street north of Glendale Avenue ended at the Canal. If you wanted to travel further north you had to jog over to Central Avenue! 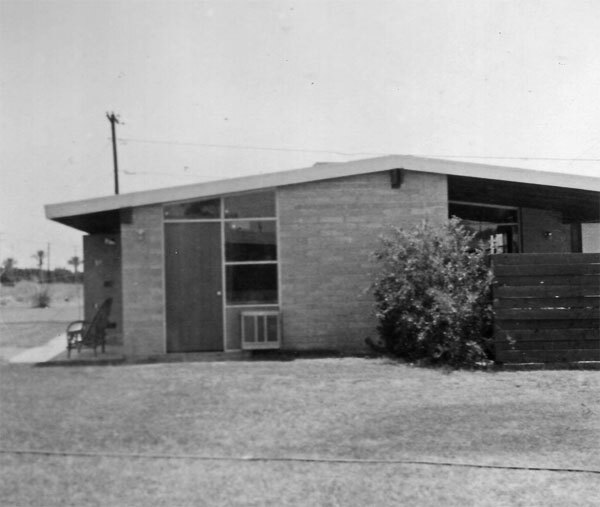 The finished home, pictured below, became one of the subdivision models as shown in this 1954 advertorial feature in Arizona Homes Magazine. High windows are the first to get shaded by the roof overhang in the late morning. Shortly after purchasing the home, the homeowner extended the length of the living room by bumping the north face our under the carport roofline. He mirrored the porch's windows with an angled clerestory. The redwood fence was common for its time. 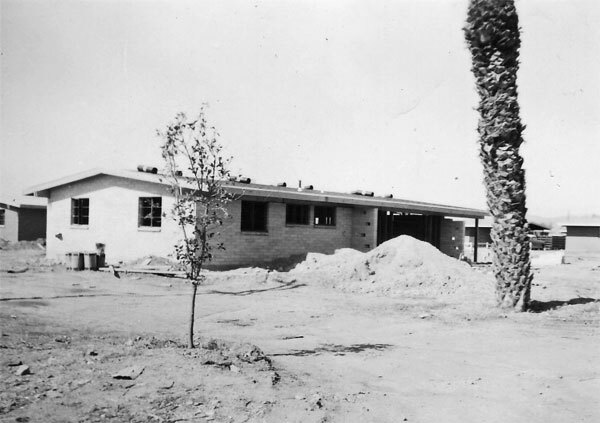 It was not uncommon for homeowners to use existing concrete pads and roofs to build out when they were ready to. The chair is situated where the carport entrance used to be. The white-trimmed wood framed door with single pane glass panel is typical of Haver Homes of this era. 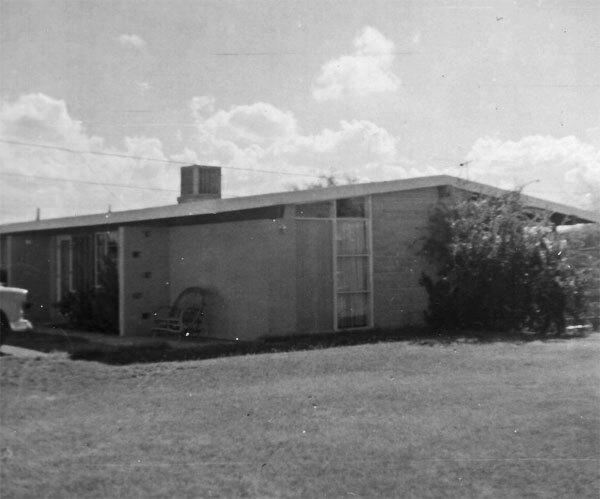 The semi-circular driveway was used in place of the original carport. 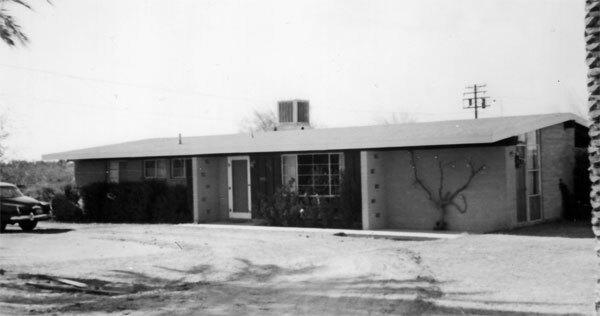 Well-established landscaping helps the barren tract look a little more lived-in around 1958. Haver was always interested in learning what women wanted in homes and participated in marketing promotions for Del Webb and the National Association of Home Builders that referenced the latest research in femineering. 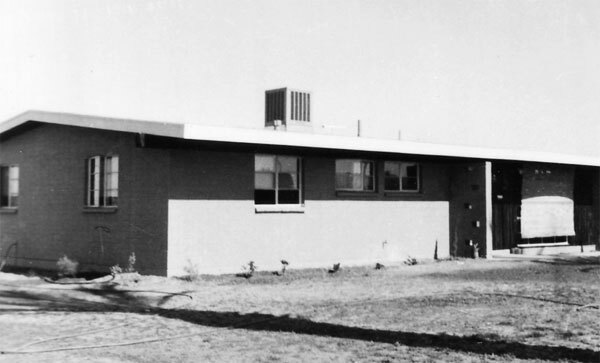 A few years later he developed a "Princess Home" concept for Regents Park. 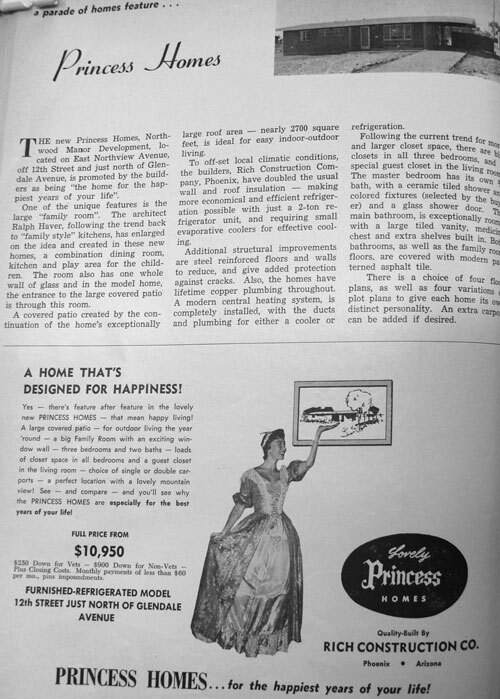 This Princess All-Star ad below is for the Northwood subdivision on State Avenue closer to 7th Street, which does not look the same as the more modern homes shown above. We're not 100% sure if these subdivisions are related but it's not likely that two neighborhood so close to each other with the same name of Northwood wouldn't be related somehow. 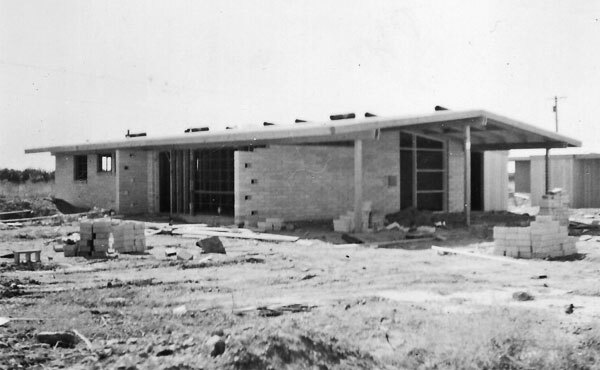 View photos of Northwood in 2011.